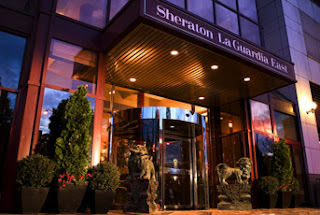 US Open Hotels - American Express SPG Card = Free Night @ Sheraton Laguardia! 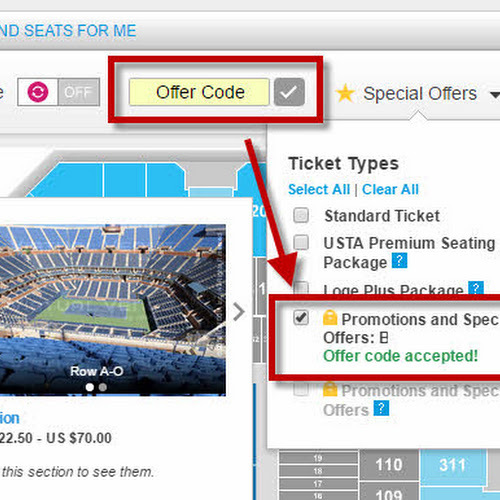 SPG American Express card is great for tennis fans who want a nice place to stay near the US Open in NYC. It gives to access to the free pedicab rides from the 7 Train to the US Open Entrance. Plus there are new freebies each year when you flash your SPG card. Saves you a TON versus parking at the stadium. I have used it several times there on rooms that normally cost $300-$400/night. Use the "Cash and Points" option to get a room at $60 + 4K points/night! Get free referral bonus points from our exclusive offer below. The 10,000 free points come after the first purchase and is good for a Free Night at the hotel if you sign up here! 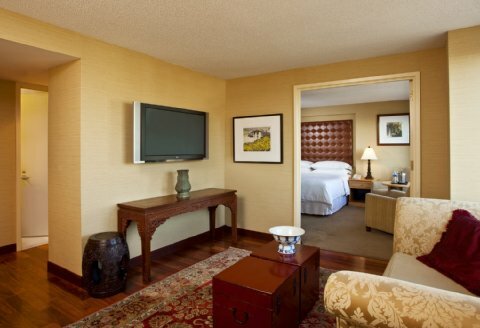 Or better yet, use just 4000 points + $60 per night (Cash and Points option) ~ good for 2 nights stay at $120. Also you can stack it with the 500 point bonus (SPG Nice Choice offer). Hopefully, the rest of this article will be helpful to your US Open trip this year! See the rest of this article for more tips when staying in Flushing, NY. 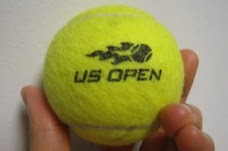 Also check out "How to enjoy your first US Open" - Tips for the first time US Open fan. Remember to bring your Amex Card with you when you go to the US Open for annual freebies! 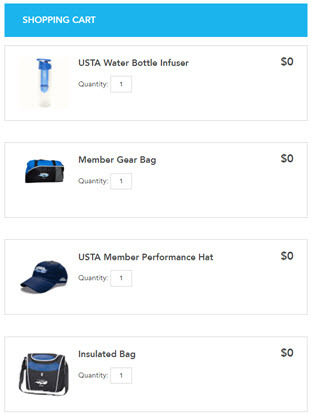 Check out my other tips for scoring freebies and discounts at the US Open. Hint: you can use all 10,000 points to redeem a FREE night at the Sheraton Laguadia hotel (which is just 1 metro stop from the Stadium on the Number 7 Train). Even better is the "Cash and Points" option (4000 points and $60 per night) to get an even better deal on multiple nights/rooms! You can cancel the card before 1 year and pay no annual fee. I decided to keep it because it pays for itself every year for me. I stayed there a few years ago and even got received a free upgrade to a Deluxe Suite for being a SPG member! Take the 7 train from "Flushing-Main St" to the "Mets-Willet Point" station - about a 5 min ride. Sheraton Hotel window view - you can actually see the UniSphere of Flushing Meadows outside! If you want to go into the Manhattan after the games at night - just take the same 7 train all the way to Times Square in Manhattan (no transfers required, just $2 each way!). Fare Tip: Put $8 or more on your Metro card and receive a 15% bonus! Catch these popular Broadway Shows in NYC - get advance online tickets before they get sold out. It is very difficult to roam up and down Broadway at the last min...trust me, I've tried to get tickets for Wicked and it was way over-priced at the box office! Food: Just outside of the US Open are a lot of food trucks that line up. It is at the bottom of the ramp that comes down from the Subway and LIRR. Also when in Flushing, look for great Chinese restaurants in Flushing, NY like the dim sum at East Buffet.